Bachelor of Medicine and Bachelor of Surgery (MBBS) - 1983,Mysore Medical College, Mysore University, Karnataka. Bangalore Medical College, Bangalore University, Karnataka. Member of the Executive Committee of Delhi Chapter of RSSDI. Member of the Organizing Committee of RSSDI conferences National (2013) and Delhi Chapters. 1)H Dewan, HP Paljor, V Kumar(2006). A Study of microalbuminuria in newly diagnosed type2 Diabetes Mellitus. In: Abstr. Proceedings of 34th Annual Conference of Research Society for the Study of Diabetes in India, New Delhi, 2006. Presented at the 34th Annual Conference of Research Society for Study of Diabetes in India, Delhi, 2006. 2)Sinojia ZM, Kumar V, Paljor HP, Mathews SE(2013)Profile of Diabetic microvascular disease in patients with diabetic retinopathy. In: Proceedings of 41st Annual Conference of Research Society for Study of Diabetes in India, Greater Noida, NCR of Delhi (Abstract No.381) 2013. 3) Balasundaram V, Mahajan R, Paljor HP ,Kumar V (2014) Cognitive status in patients with Type2 Diabetes Mellitus. In: Abstract Book of 17th Asia Pacific Regional Conference of Alzheimers Disease International, New Delhi, Nov 2014.P.47. 4) Mohan S, Arya HK, Paljor HP, Kumar V (2017) Correlation between clinical profile of acute strokes and patients glycemic status. Presented at the 7th International Diabetes Conference-Diabetes India 2017, New Delhi,23-26 Feb, 2017.Published in the abstract book of 7th World congress of Diabetes “Diabetes India 2017” conference, page 171. 5) Virani M, Mahajan R, Paljor HP, Kumar V (2017) A comparative study of cardiovascular profile in diabetic obese and non-obese subjects. Presented at the 7th International Diabetes Conference-Diabetes India, 2017, New Delhi,23-26 Feb, 2017.Published in the Abstract book of 7th World congress of diabetes “Diabetes India 2017”conference, page 157. 1) D Sareen, HP Paljor. Idiopathic polymyositis presenting as interstitial lung disease JAPI 2000, vol.48, No 6, Pages 654-655. 2) D Sareen, A Jain, HP Paljor. Pseudotumor Syndrome associated with Anti Phospholipid antibodies and cerebral venous sinus thrombosis. JAPI, Vol 50, April 2002,Pages 603-605. 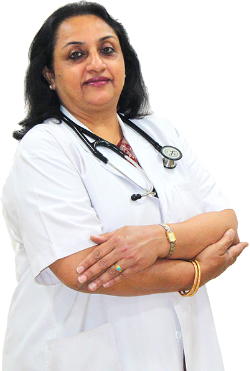 3) D Richariya, A Jain, V Kumar, HP Paljor (2003) A Study of Subclinical hypothyroidism in older persons. JAPI 51:1241-1242. 4) Kala azar without splenomegaly- Sameer Gulati, HP Paljor, S Pandit, R Jindal .Annals of Tropical Medicine and Public Health /Jul-Dec 2009, Vol 2, Issue2, 57-60. 5) Haemoptysis with a classical radiological sign. Sameer Gulati, S Akhtar, HP Paljor. Lung India Oct - Dec 2011, Vol 28, Issue 4, 317-18. 6) Chahal NK, Bansal PK, Kumar V, Paljor HP. (2013)A Study of Clinical and haemotological profile of anaemia in women of reproductive age. Accepted for poster presentation at 68th Annual Conference of Association of Physicians of India, Coimbatore, India, Jan 2013 as listed under Dr. M Viswanathan Poster Session-Haemato-Oncology. JAPI61:63, 2013. 7) Mathur N, Kumar V, Paljor HP. (2014)Comprehensive Assessment of Geriatric subjects from different settings of an Indian Hospital. In: Abstract book of 12th Global Conference on Ageing, Hyderabad, June, 2014, P 247. 10) Deepak Kumar S, Sharma R, Paljor HP, Kumar V, Suresh Babu (2017) A Study of seizures in patients of medical intensive care unit (MICU). Presented at 72nd Annual Conference of Association of Physicians of India, Mumbai, Feb, 2017. Dr M Vishwanathan Poster Session, Neurology section, Poster number 34, JAPI, 65:107.